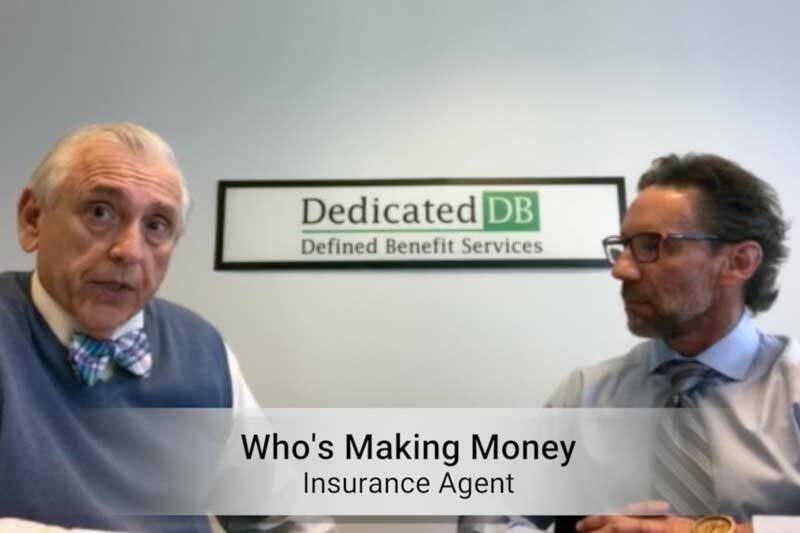 Jeff Biesman: Welcome to “Who’s Making Money.” Hi, I’m Jeff Biesman and I’m with Phil. Phil Pirio is a Senior Plan Design Consultant at Dedicated Defined Benefit Services. Can you tell us about yourself? Phil: I have been in the retirement plan benefit selling business for 30 years. I have been involved in the design, establishment and maintenance of defined benefit plans and cash balance plans for that period of time. Jeff: Great. Can you tell us a little more about that please? Phil: Absolutely. We work with financial advisors primarily and they refer their clients to us for us to help them set up and maintain those plans to create tax deductions currently and help them with their retirement savings. Jeff: Do you have any recent retirement plan examples or can you talk about how defined benefit and cash balance plans work? Phil: One of the most interesting things for us in this job is seeing how many different ways people are making money. We have authors, entrepreneurs, astronauts, consultants and manufacturers. It is interesting to see how people are making – and lots of it. One of the great things about designing plans is learning about the diverse ways people make money these days – and I mean a lot of money. Our clients are generally self-employed or owners of companies with just a few employees. Jeff: Do you have a recent example of a situation? Phil: A great example of this is a 40-year-old insurance agent and his wife. They are making quite a good amount of money. Their CPA looked to us to design a plan. They had taken very low W2s in the past, but the CPA knew that if it was raised up a bit they could take advantage of higher tax deferrals and higher returns. That’s exactly what they did. 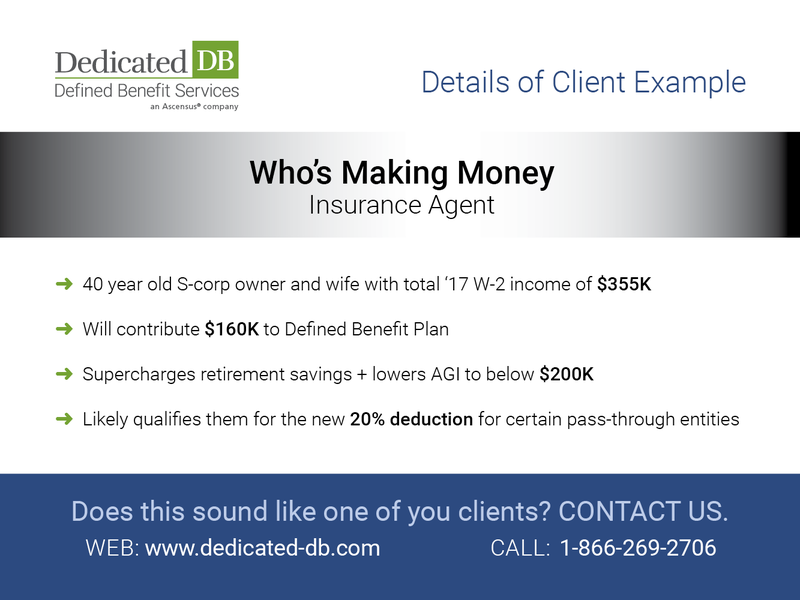 They took quite an increase in their W2 amount, but it allowed them to contribute $160,000 of which they had an immediate benefit, a tax deferral of that amount. Jeff: That’s great. What about 2018 with the new HR1 tax code? Phil: 2018 will present a great opportunity for them to directly lower their adjusted gross income because these are above the line deductions that occur after we have created these plans to create the contributions. Jeff: Wow, that’s a remarkable strategy. Jeff: What is your advice when a financial advisor, CPA or end consumer should get in touch with you?